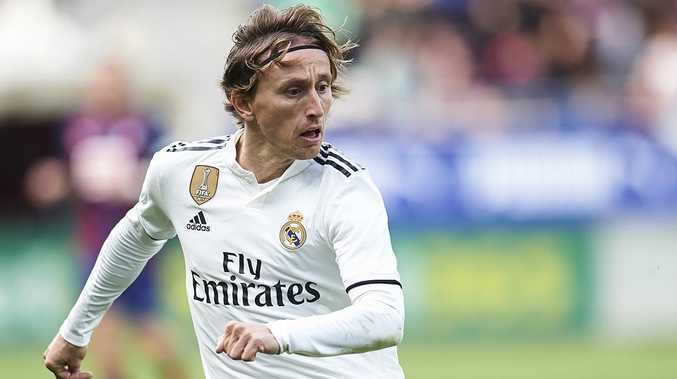 LUCA Modric has reportedly rejected a bumper new contract from Real Madrid as he continues to seek a move away from the crisis club. He is one of a number of stars to be considering quitting the club, which has been in disarray since the departure of Zinedine Zidane in the summer. According to Telemadrid, the Croatian star turned down Los Blancos' first offer of a new deal. The Ballon d'Or winner's contract expires in 2020 and the club is understandably keen to tie him down on a long-term basis. Inter Milan was interested in signing the World Cup's Golden Ball winner in the summer but could not agree a deal. ARSENAL is closing in on Ever Banega after the Argentine's agent flew to London. Unai Emery wants to bring the experienced midfielder to the Emirates as he continues his Gunners revolution. Banega has a $32.5 million release clause in his Sevilla contract, which Emery is prepared to trigger. It is understood the Argentina international has recently changed his representatives in a bid to seal a move away from the La Liga side. And, according to Mundo Deportivo, his new agent has spent Christmas in the English capital to hold talks with Arsenal chiefs. 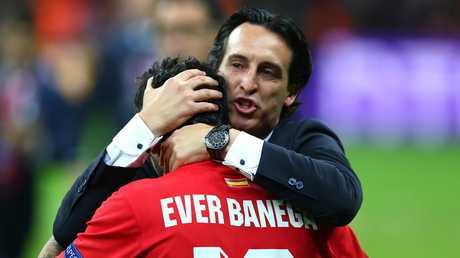 Emery has twice previously worked with Banega during spells with Valencia and Sevilla - where the pair won the Europa League in 2015 and 2016. Unai Emery and Ever Banega are very familiar with each other. LIVERPOOL is on the verge of beating Arsenal to land Dortmund winger Christian Pulisic. Anfield chief Jurgen Klopp wants the 20-year-old American to give his side's title push an extra January boost. Arsenal has seen an initial $63 million bid rejected by the surprise Bundesliga leaders, and Chelsea has also been linked with the American in recent weeks. But Liverpool's opening offer of $81 million is closer to Dortmund's asking price. And with the Merseysiders top of the Premier League pile at the halfway stage ahead of their back-to-back crunch clashes with the Gunners and Manchester City, a bid of $90 million is likely to be enough to clinch the deal as soon as the transfer window opens on Tuesday. ADRIEN Rabiot's fallout at Paris Saint-Germain has worsened with the midfielder reportedly being banned from his team's dressing room on match day. 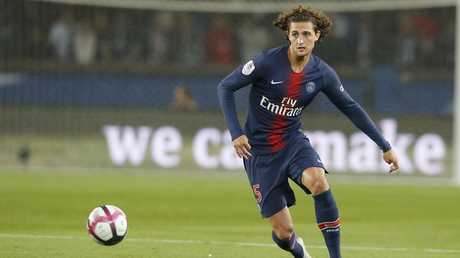 Rabiot's refusal to sign a contract extension with the French champions has frustrated PSG sporting director Antero Henrique so much he apparently doesn't want the midfielder to play another minute. Paris United reported that Rabiot had been banned from entering the PSG dressing room on match day as it became clear he was not wanted in the side. Rabiot has been a transfer target for Barcelona and Premier League clubs Arsenal, Liverpool and Chelsea.